The employment attorneys at Nardone Limited regularly assist our clients with labor and employment issues, such as Department of Labor (“DOL”) compliance, as well as guidance on preventing and responding to discrimination and harassment charges filed with the Equal Employment Opportunity Commission (“EEOC”) and the Ohio Civil Rights Commission (“OCRC”). Our employment attorneys also regularly update clients on news, events, and changes in law as it relates to labor and employment issues that may impact our clients. 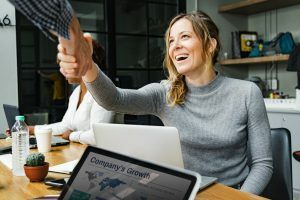 Hiring the right employee is usually a grueling process, and it is sometimes difficult to determine whether the potential employee is the right fit for the company. Because of this, there is a growing trend for employers to have potential employees take personality tests, which help to determine the opinions, motivations, interests, and strengths of potential employees. Recent studies show that knowing an employee’s personality type is beneficial to interacting and communicating with the employee, which then helps to develop a more effective working environment. But, identifying an employee’s personality type is sometimes difficult. A recent article published by Deloitte gave examples of personality types and how to best determine the personality type of the individual, along with how best to interact with each personality type. You had me at hello: Leveraging behavioral factors and personality cues to improve customer relationships, Deloitte Review, Issue 22, Jan. 22, 2018. Deloitte’s article provides very good guidance on how to interact with both employees and clients. In the article, Deloitte developed four different personality types: (1) drivers, who are the analytical thinkers; (2) guardians, who are detailed-oriented and the realists; (3) integrators, who are the connectors and who are skilled at understanding the broader context of an issue; and (4) pioneers, who are the “blue-sky” ideas people, and are those who thrive in multiple work environments. Along with providing personality types, Deloitte’s article also stated that it is important to identify these personality types in your employees so that as an employer, you can improve both intra- and inter-organizational relationships. Knowing how your employees “tick” and what drives them not only improves the relationship between the employer and employee, but also helps to improve the interactions among employees and clients. As stated previously, identifying personality types in your employees is very beneficial to the overall work environment and for employer-employee interaction. Because of the benefits to identifying personality types, many employers are beginning to have their potential employees take personality tests. But, there are possible legal implications with personality testing, and an employer should approach implementing a personality test with caution. The main legal concern that an employer should have before implementing a personality test is the potential for the test to violate federal anti-discrimination laws, such as the Americans with Disabilities Act (“ADA”) or the Age Discrimination in Employment Act (“ADEA”). If a potential employee can show that the test in some way discriminates against a protected class, the employer could be found to violate federal and state anti-discrimination laws. Thus, an employer should be careful that their personality test does not have a discriminatory effect or could be perceived to discriminate against a protected class. Employers should carefully review and vet all questions before implementing a personality test. Generally, questions that seek information that could potentially identify members of a protected class should not be included in a personality test. As an example, the personality test should not include questions that in any way relate to identifying a person’s gender, race, or marital status. Overall, when determining whether to implement a personality test for your employees, or to determine whether your personality test is discriminatory, you should contact experienced employment attorneys for advisement. Experienced employment attorneys can help review and create a personality test that complies with existing law on both the federal and state level. The employment attorneys at Nardone Limited handle a full spectrum of employment law issues, including advising employers on the hiring process, business disputes and litigation, drafting employment agreements, and consultation on employment law issues. If you need advice or representation in an employment dispute before the EEOC, the OCRC, or regarding potential labor and employment litigation, feel free to contact Nardone Limited.